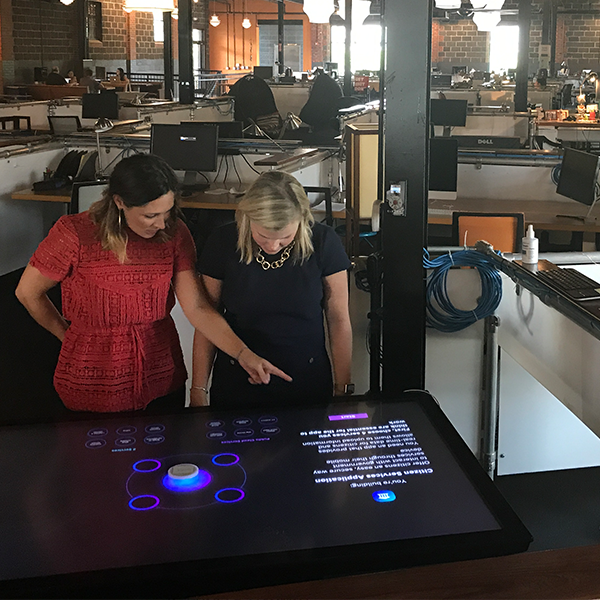 While at Centerline Digital, one of our IBM clients requested interactive experiences for their product launches around the world. The first touch screen experiences that we created needed to display the powerful abilities of data insights from the new product that was being launched. Three interactive experiences were a part of a larger launch for the z14 launch. I was personally responsible for the information architecture, user experience, interactive design and UI design for two of the touch screen experiences, as well as the design of the subzones through out the show room. I collaborated closing with an animator, developer and project manager to stay true to the vision of the overall experience. Once the touchscreens were on site, it became apparent very quickly which design solutions didn’t scale. A lot of time went in to testing designs on the actual screen that was going to be in the showroom being used. This experience allows the user to mix and match different viable services to create an app by choosing a 3D object that corresponds with an app. The end result displays what services are used to make an app viable, and gives the user an opportunity to use more cloud services to boost the score at the end. 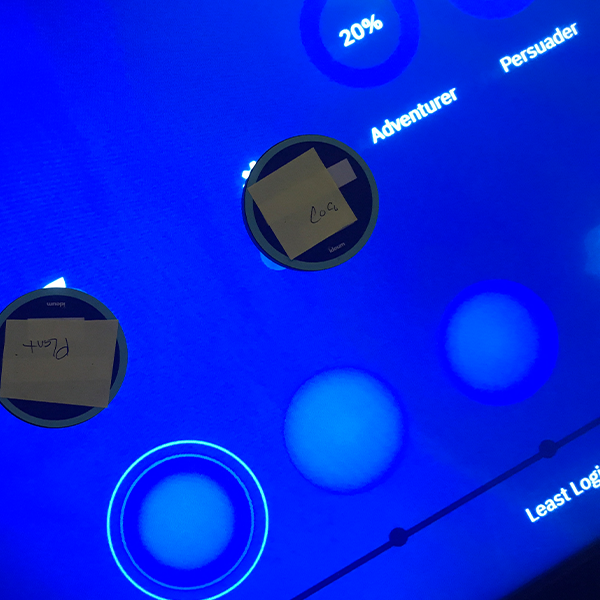 The personality game experience gives the user the opportunity to unveil a personality and behavior type based on how they arrange 3D objects on the screen. The end result compares those results with the information gathered at registration to reveal insights from the two, mimicking IBM Watson insight capabilities.